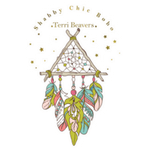 Shabby Chic Boho has been compensated in the form of a Best Buy Gift Card and/or received the product/service at a reduced price or for free. I love giving gifts from the heart for Mother’s Day. It is the one day when we get to spoil our moms, sisters, MIL’s, aunts and even mommy cousins. I have quite a few moms in my family so I have to look for gifts for all ages because goodness knows I don’t want to give something different to one and not the other. I try to find gifts that EVERYONE will love. 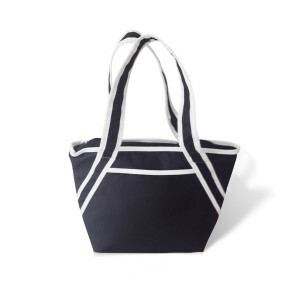 Best Buy has the perfect gift for all ages this year and after reviewing mine, I know that everyone on my gift giving list will love it: The amazing Modal Concept Tote Bag. Like I mentioned, I received my own Modal Concept Tote Bag and it’s quickly become my favorite tote. 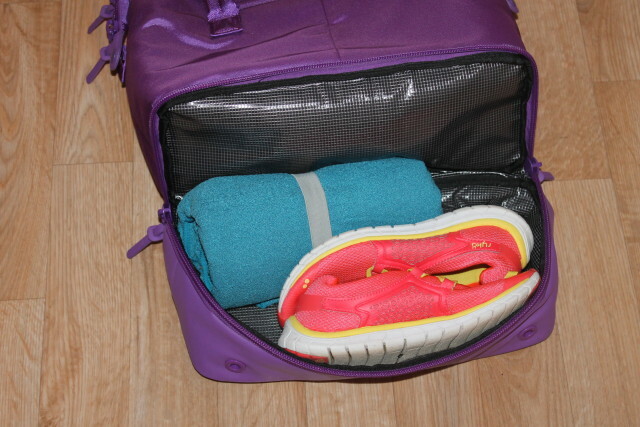 I can carry everything from my laptop to my shoes and even my yoga towels & mat. My Modal Concept Tote Bag was designed for women of all ages and when you see the photos I’m sure you’ll agree that it’s perfect in every way. The Modal Concept Tote Bag stands on it’s own prongs so I don’t have to worry about the bottom getting dirty or it tipping over. The strap is the perfect length for me and it comes with a removable longer strap which I’m currently not using, but if I ever want to, I’m happy that it’s included. It looks stylish wherever I take it. 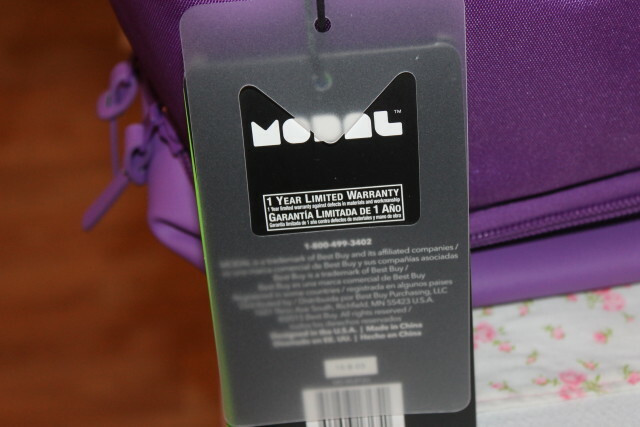 The Model Concept Tote Bag has a one year warranty and you can tell by my photos how well made it is. I’m seriously doubting I’ll ever have to use my warranty on it. The zippers are heavy duty, the straps and stitching is also heavy duty. This tote is made to LAST. I even feel safe taking along my techno gadgets because it’s waterproof. 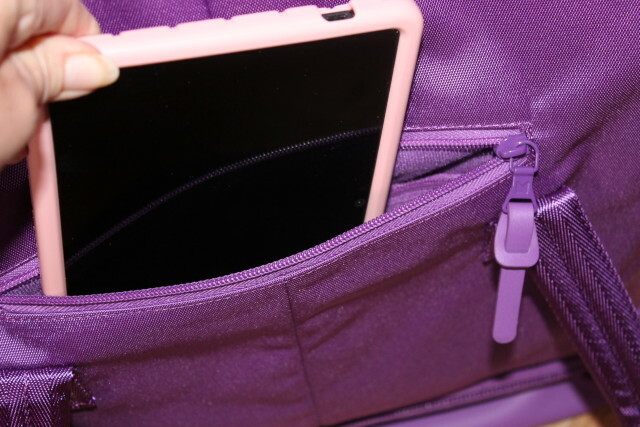 I keep my Kindle Fire HDX with me at all times and I love having a separate pocket that I can use to store it in. 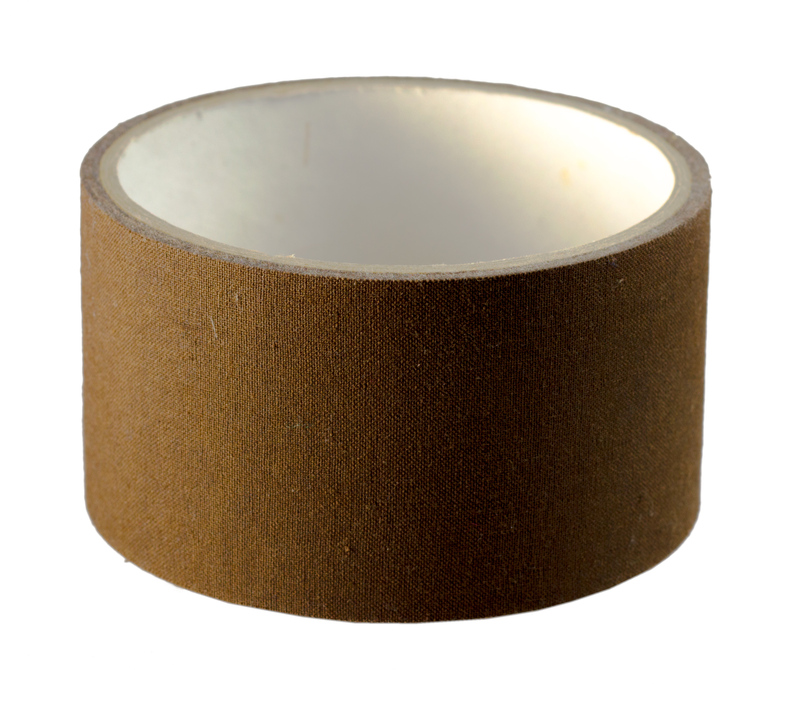 I don’t have to worry about my screen becoming scratched. 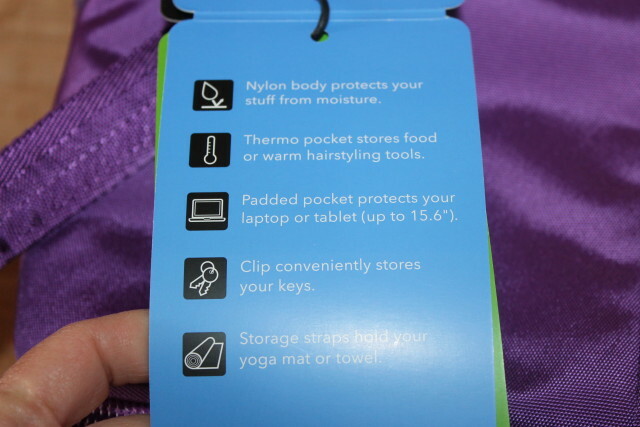 More key features… all of this in one bag. I really love the thermal pocket. I can store my hot iron in it when I’m in too big of a hurry to let it cool off, or I can store my cold lunch in it and not worry about my meal spoiling from the heat. 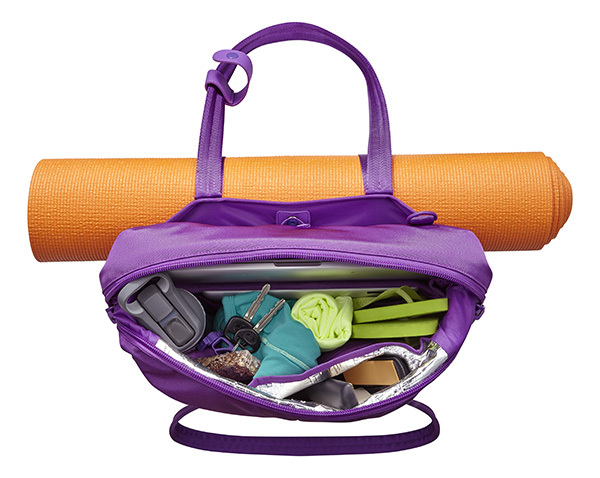 For the working or stay at home moms, this tote could be used for work and/or for the gym. In fact, you could go to the gym, to the office, and even back to the gym if you want to. You can take it to Yoga and/or Pilates and be able to carry everything you could possibly need in it. It’s a portable bag that can be used for anything her/your heart desires. A big plus to me is that it comes in a beautiful color that adds fashion flair for any Diva that wants to stand out. There really is a compartment for any and everything. As I said, the Model Concept Tote Bag would be a great gift idea for anyone on your Mother’s Day gift giving list. It’s my #1 choice this year. Model Concept Tote Bag is too affordable to look anywhere else. PLUS shipping is free on all orders over $35. What would you most likely use your Model Concept Tote Bag for? What a neat idea. My wife and daughters would love it. I love bags and I don’t think I have ever seen one with so many options. I love it!! I love the color too! Good color and so spacious. 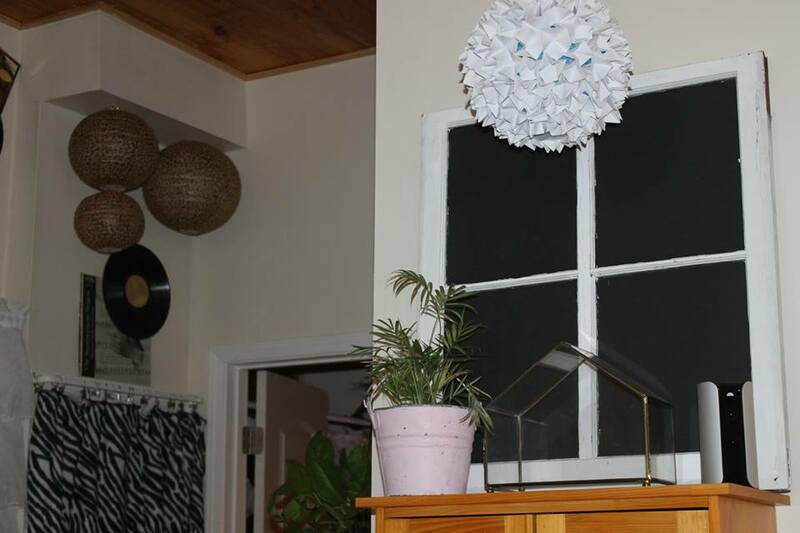 I think it’s got a clever design. Such a roomy bag! I like the compartment for the shoes! looks great..
What a really cute tote bag! I like the color and all the different compartments. Oh I’m loving this! 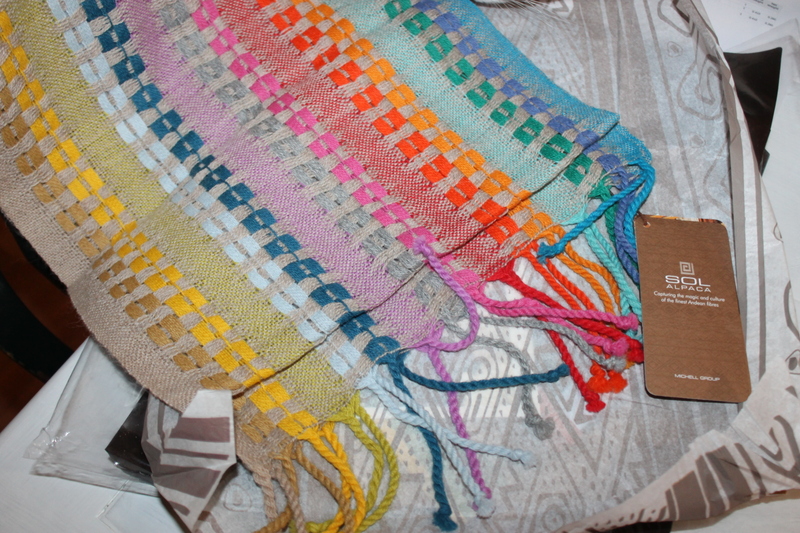 That color is super gorgeous too, I’ll have to show this to my hubs! I love how much room this tote seems to have! It would be perfect for the gym, carrying all my personal necessities! This is the nicest computer bag I have ever seen, Great way to tote everything you need or want to bring with it, I LOVE the Thermo lining! That was genius! I take my computer all over along with lunch and other things I need! This would be perfect for the gym, my gym bag, the zipper is broke, I still use it but don’t zip one side. I love the color and the inside of it. I could carry my own yoga bag, love that. What mom wouldn’t love this bag? I instantly fell in love with the one featured because it’s in my favorite color! I’m also a fan of zippers and the more pockets and compartments the better! Oh wow, I would love to receive such a highly functional tote for Mothers day! I don’t know if I’m more excited for all the gadget compartments or the under the bag storage for my shoes. I always hated putting my shoes which are clearly dirty on the bottom in my bag with my lunch! First of all I LOVE the color! Another great feature that pulled me in was the size! I love that it will hold everything I need and still love great. Best Buy always has amazing things like this. Can’t wait to check it out next time I go. I love everything about this tote bag, from the color to how easy it is to organize. I always have a ton of stuff in my bag and I take after my mother when it comes to that so I know she’ll appreciate it just as much as I do. This is also a great teacher gift! So many great features. Thank you for sharing. Looks like a great bag! I am loving that color these days too. I love this bag! And the color is so perfect! 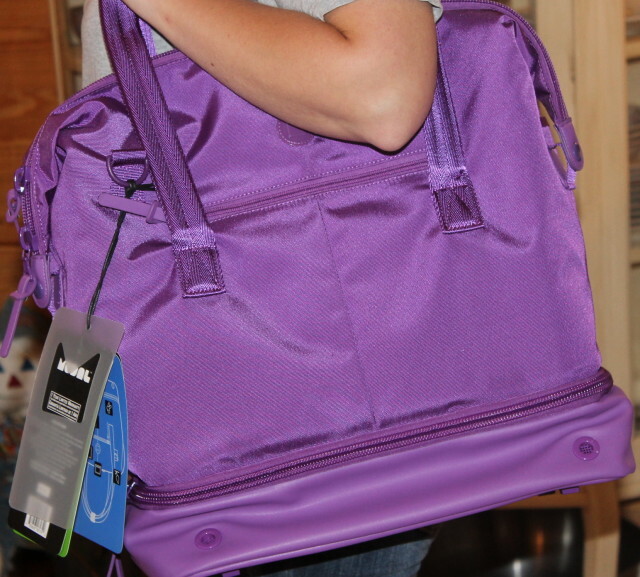 That purple is is my favorite, and I love the fact that it is so big and has so many pockets for storage. 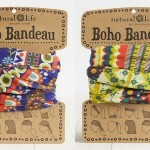 This is a fab mother’s day gift! This is such a cute bag!! I so need this! Love this beautiful bag for my mom, looks like really high quality and this is very fashionable for all moms! I wish I could get this, this coming mother’s day. You can fit so much in there! I love that it has separate spaces for everything. I think I’d use it either for work, or possibly for outings with the kids! I’m not a fan of carrying “diaper bag”-style bags, and this one looks like it would look great and fit everything we’d need for going out. What a cute bag! 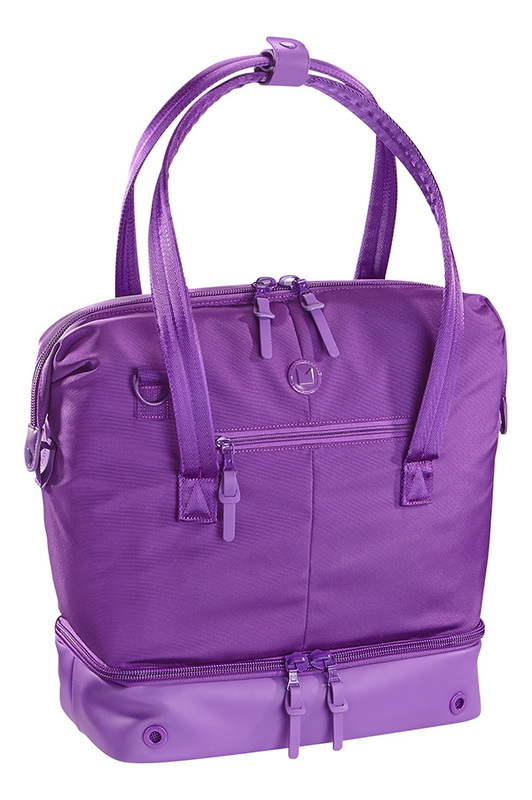 Love the color and all of the compartments…perfect for a busy mom like me! What a convenient bag for a busy mom on the go. I love that it is insulated and the compartments are well thought out. This is seriously the coolest bag ever. 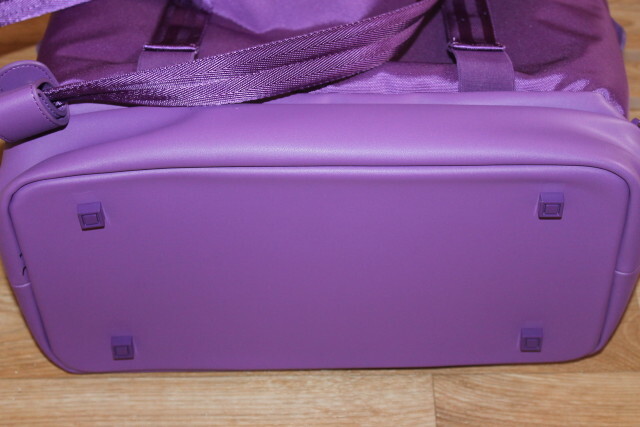 I absolutely love that purple color and how cool that you can literally fit so much stuff in it. I’m going to put this on my Mother’s Day wish list for sure. That’s one of my favorite features of the bag. 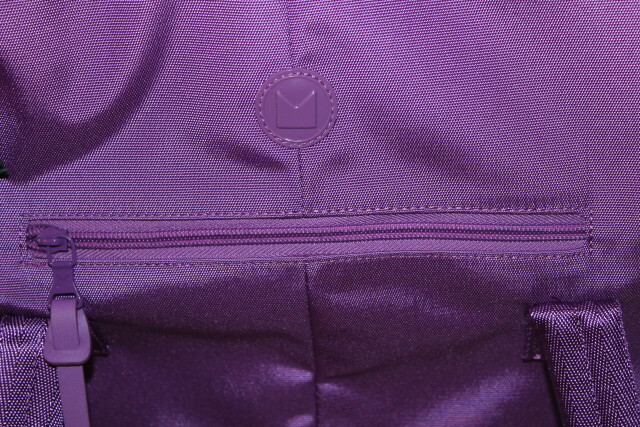 This link will take you straight to the Modal – Athletic Tote Bag – Purple. You had me with the thermal pocket! 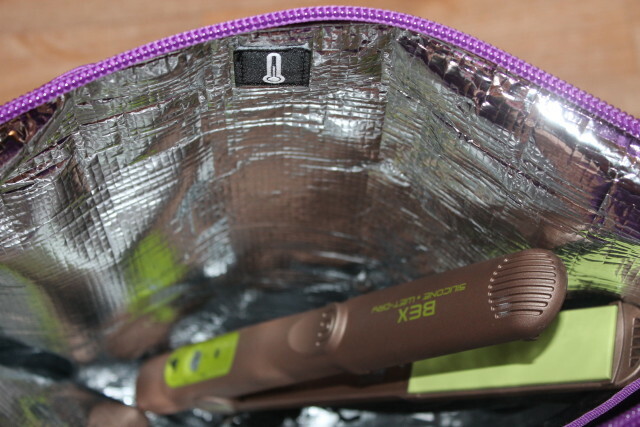 I can’t tell you how often I have gone on a trip and had to keep my hot iron out until it cooled completely! I left it behind one time because of that. This looks like a great and well made bag. Oh my goodness I need this tote bag stat! 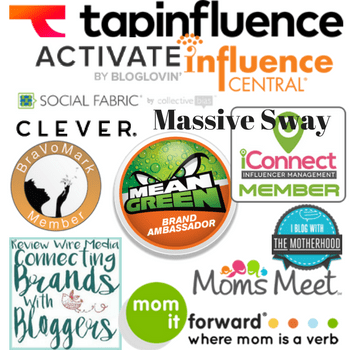 I love that it is an all in one for Mom. 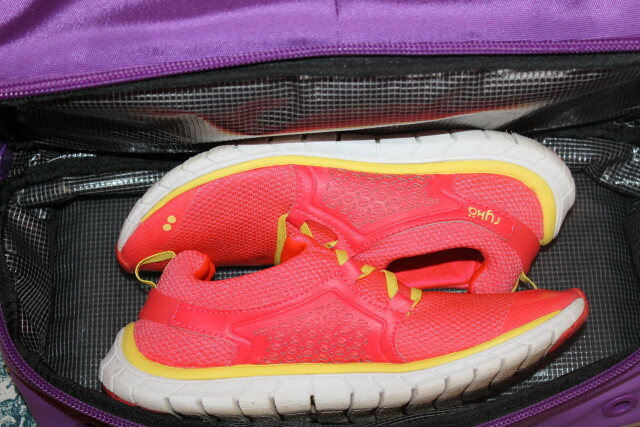 Perfect for traveling and for the gym. 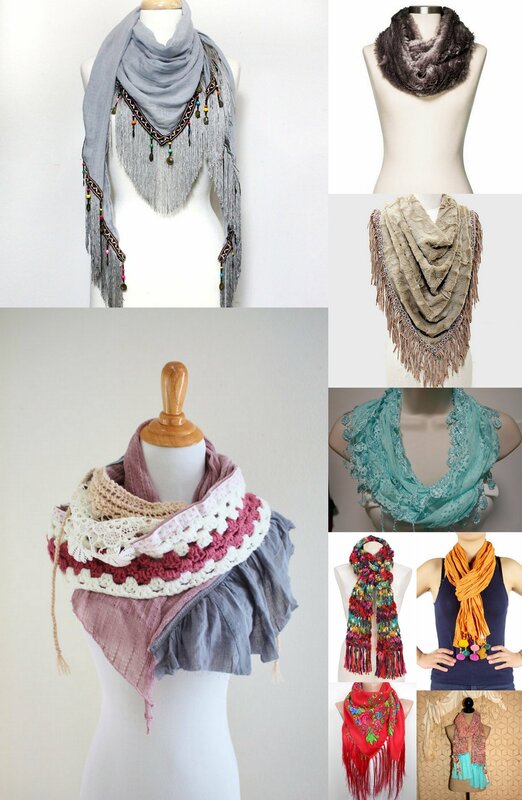 I am sending a link to my hubby so he can order me one for Mother’s Day!